This book is perfect for every kid who loves wacky animals! With engaging full-color photos throughout, this book draws readers right into the animal action! Wild Discoveries features awesome newly discovered species from around the world--such as the Shocking Pink Dragon and the Green Bomber. These wacky species are organized by region with fun facts about each one's amazing abilities and traits. 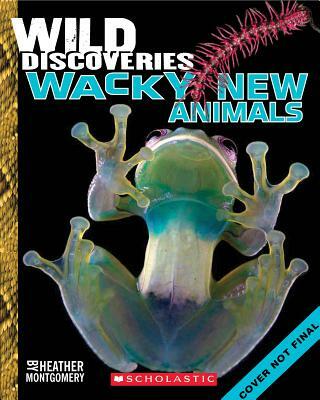 The book even has a special section featuring new species discovered by kids! Heather Montgomery is passionate about nature! She has taught science outdoors and in the classroom, plus directed an environmental education center. She is the author of several nonfiction children's books, including the Wild About Snakes series for Capstone Press. Heather has a B.S. in Biology and a M.S. in environmental education. Learn more about her at www.HeatherLMontgomery.com.